God Help The Girl is an original musical by Stuart Murdoch of three young Glasgow adults who form their own band. Musicals are always very chancy in terms of putting them on screen, especially if they’re an adaptation of a legendary musical. Try putting an original musical on screen. That’s what God Help the Girl does. It comes off surprisingly well. The film starts with Eve singing about the difficulties of being young. Mind you Eve does have her problems as she has an eating disorder which brings her to a psychiatric hospital. Her counselor there tells her she needs guidance to make it out in the world. Eve is defiant and breaks out of the hospital to head to Glasgow to make music. Over in a Glasgow pub, she meets up with James who leaves his band after an on-stage fight with the drummer. James is an aspiring songwriter who works part-time as a lifeguard and teaches guitar to Cassie, a naive daughter of a rich family. A relationship cooks up with James over time. After meeting Cassie, the three of them spend a lot of time together and compose songs. Eve is also looking for exposure and hopes to get it through Anton, a singer of the band Wobbly-Legged Rat who’s star is on the rise thanks to a local radio station promoting them. Eve gives Anton her tape hoping it will make it to the radio station and a relationship is brews between the two. The three form a band after James convinces Eve she needs a bass and drum for her songs. They call their band God Help The Girl and they perform a gig and knock the socks of the crowd. However not all is well as Eve learns that Anton, who’s too arrogant for his own good, never gave the tape to the station, claiming her music lacks professionalism. The two argue and Eve walks off. To make matters worse James finds out about her relationship with Anton and is distraught to the point of distancing himself from her. That leads Eve back to taking pills and returning to the hospital. She meets again with the counselor who tells her she warned her about rushing out into the world on her own. Eventually Eve decides on her own path. The ending is not what one would expect but is fittingly appropriate for the film. I have to say this is is a brave attempt from Stuart Murdoch to create an original musical and bring it to the big screen. It’s been a long time since there has been something like this. Musicals are always a risk to bring to the big screen whether they’re original or adapted. It’s obvious that God Help The Girl had some risks of their own. There are a few times that leave you wondering is the film lulls back into being a story and makes you forget it’s a musical until the next song comes on. Those who know big-screen musicals know about the feel of a musical on screen. There were a few times I felt the film lost its feel. The musical parts were very good and were able to stay away from crossing the line of cheesy most of the time but I did notice some imperfections. Even having Eve with an eating disorder makes you wonder if that would make fans of musicals uncomfortable. The funny thing about this film is that it includes the music from a group called God Help The Girl. For those who don’t know, God Help The Girl was an all-girl group formed by Belle and Sebastian lead singer Stuart Murdoch. They were formed for one time only in 2008 for an album that was eventually released in 2009. The film God Help The Girl is a musical set to those songs and is directed by Murdoch. I don’t want to go into the subject of ego-tripping but Murdoch puts together a well-constructed and well-written musical that is entertaining. There are some noticeable imperfections in the choreography and editing but the film is mostly together. I also think this will be Murdoch’s only directing effort as I don’t see him directing any other movies in the future. Emily Browning is very good as the protagonist and is able to sing well in her first on screen singing role. Olly Alexander was also very good. He’s the opposite of Emily where he’s actually a singer in a band rather than an actor. Nevertheless he did very well. Hannah Murray was very convincing as the young naive Cassie. The three of them made an excellent trio full of chemistry. Pierre Boulanger was good but his role as Anton was underdeveloped and could have been more. God Help The Girl was nominated at the Sundance Film Festival for the World Cinema Grand Jury Prize and won a Special Jury award for the ensemble. It was even nominated for the Crystal Bear award at the Berlin Film Festival. It has just been released in the US the last weekend of September and has just fizzled out with just grossing over $100,000. I blame it on the lack of promotion. I think it will develop a better afterlife as a Broadway musical. There’s no talk of a musical version of the film yet but I feel it has a lot of potential of being a hit in that format. God Help The Girl is a flawed but entertaining original made-for-the-big-screen musical. Oddly enough I think I sensed a bit of Beatlemania there. Kara Hayward and Jared Gilman escape together in Moonrise Kingdom. 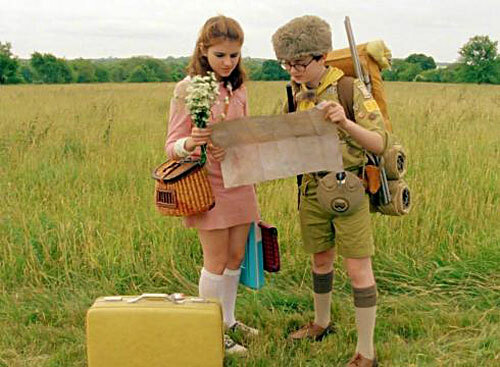 Moonrise Kingdom is one of those films one who wants get off the beaten path might want to see. Knowing that Wes Anderson is directing it is one sign this is something out of the ordinary. But is it enjoyable? The film starts with a young girl, the oldest of four children and only daughter, has her binoculars out for a search. She leaves her house on the search with her cat, six books and a record player but we don’t know what she’s searching for. Her name is Suzy Bishop. Meanwhile it’s rise and shine for the Khaki Scouts at Camp Ivanhoe. Only one scout is missing and no one can find him. His name is Sam Shakusky. Flashback a year ago. Suzy is about to perform for a church musical for Noye’s Fludde by Benjamin Britten. Sam sneaks in and meets Suzy. It was like love at first sight for the two. Over the year’s time, they were pen friends and they made a secret pact to reunite in the summer and run away together. Now today is the day. As Suzy is walking to the area with binoculars in hand, Sam paddles his canoe over the lake well-equipped with camping equipment. They meet and camp out for several days on a secluded cove which they call Moonrise Kingdom. Their love blossoms as the days pass and as Sam paints pictures of her. Eventually the two are located by the scoutmaster, the police and Suzy’s parents. They’re first able to evade escape by the scouts after Suzy stabs one in the side with lefty scissors. But it’s all too late as they are caught. Suzy is taken home by her parents and is ordered never to see Sam again. Sam is in custody with Captain Sharp and is about to be sent to ‘juvenile refuge’ because he is an orphan and his foster parents no longer wish to house him. The two run off again and hide. One other thing to add: a hurricane is expected to hit the area in a matter of days. It’s this second incident that people are more cooperative. The Scouts learn of the love of the two and believe it their duty to help them hide. The Scouts even seek out the help of Cousin Ben to help them in the hiding out. It appears to be successful but there are many twists and turns including a flash flood within the camp and the recovering stabbed boy blockading Sam’s escape. After a lengthy chase, they return back to the church as it is about to do a musical. Problem is all those attempting to chase the two down head there too and the hurricane is slowly but surely approaching. Sam and Suzy refuse to give up and even go as far as going to the top of the church steeple while the storm is at its wettest and windiest to evade capture. The ending ends in an offbeat way but it’s a happy ending that ends in a charming manner. I’m unsure if Wes was trying to get a point across in this movie or if he was just trying to deliver a quirky but nice story. It’s easy to sense that there may be a message here with a lot of elements in the story: 1965, New England, scouts, church plays, lawyer parents, an orphan who runs away a lot, a girl with behavioral problems. Whatever the situation, Wes succeeded in making this offbeat kiddie-romance quite charming. Wes has had a history of doing charming but quirky movies like Rushmore, The Royal Tenenbaums, The Darjeeling Limited and even the animated family movie The Fantastic Mr. Fox. Here he has a story of children in love that commonly make for a typical cutesy story, adds his own quirks in there, gives the two children in love unique characters and delivers a winning and entertaining story. How often can a director accomplish that? Besides Anderson’s filmmaking, the film has other great qualities too. 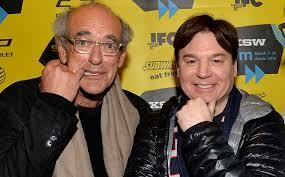 The script he co-wrote with Roman Coppola, son of Francis Ford Coppola, adds to the charming quirkiness of the movie. The acting performances of the leads Jared Gilman and Kara Hayward were very good, especially since they’re debut performances. 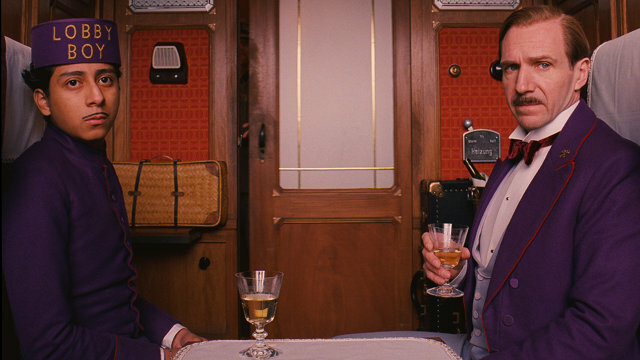 The one thing is that Wes Anderson wanted the two to act in a certain style of acting that would fit the movie instead of your typical acting. Both did a good job of not only doing their character but succeeding in making the chemistry both quirky and a perfect aspiring at the same time. Anderson also brings back actors he has worked with in past movies like Bill Murray, Jason Schwartzman and Larry Pine and he also includes Edward Norton who will star in his upcoming The Grand Budapest Hotel. Their addition as supporting players also add to the story as well as supporting performances from other established actors like Harvey Keitel, Bruce Willis, Frances McDormand and Tilda Swinton. It wasn’t just the writing, directing and acting. The music also added to the movie as well. The first is the inclusion of Benjamin Britten’s music in the movie. It’s obvious Wes had a liking to Britten’s music as a child. In fact we hear the Young Person’s Guide To the Orchestra played by Suzy’s little brothers at the beginning. The original music from Alexandre Desplat also added to the movie’s charm too. Many can agree that the use of such music had a lot to do with the movie’s charm. Moonrise Kingdom is an odd and quirky story that will win you in the end. Great movie to watch for moviegoers who want to get off the beaten path.